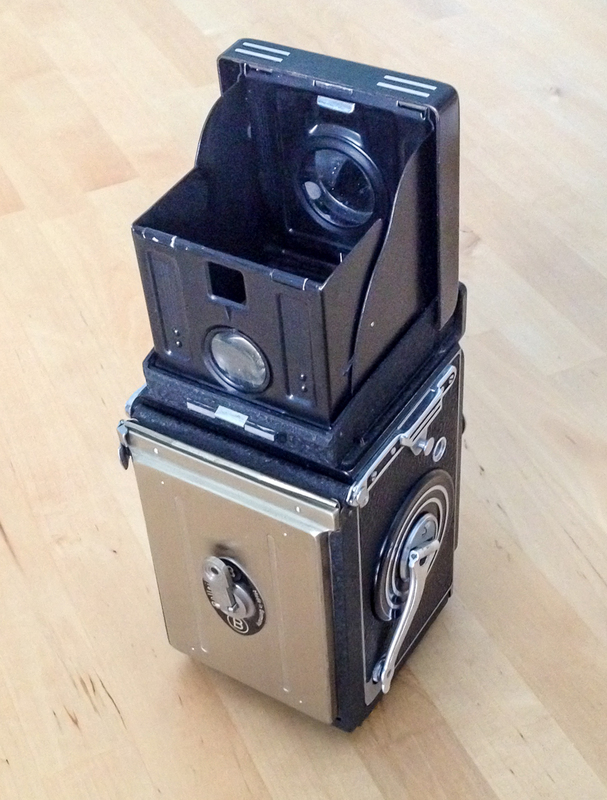 Single shot Rolleiflex: Zone System on the cheap? If you want to practise the Zone System properly then you really need to be able to give individual development times to each negative. That's why it's mainly been the preserve of one-shot-at-a-time large format photographers who roam the countryside as eccentric-looking individuals - a bit like Phil Rogers, in fact. Most of us don't bother with the Zone System beyond choosing to "place" an exposure on a certain value which basically means working out what exposure a tone you are measuring with your meter will need for it to record the way you want it to on the film. A two-bath or compensating developer can then be used to keep the density of the highlights in check. The Zone System is an interesting approach to photography but the mass of wonderful photographs made by people who cared not a jot for it is all the evidence you need that, whilst laudable in some respects, it's not vital to successful image-making. But as well as those who couldn't be bothered with all that technicality - not to mention cost - there are others who couldn't be bothered with all the equipment. Lugging a 5x4 or larger camera, a manly tripod and a pile of bulky film holders up a hill is no laughing matter. 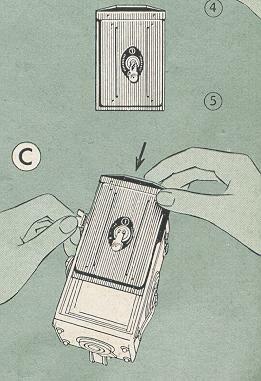 Fortunately, there is a solution and it comes in the form of a Rolleiflex and a plate back. Rolleis take 120 film (220 as well but I'm not sure if that's made by anyone nowadays) for 12 exposures on a roll (unless you have fitted an adaptor kit for 6x4.5 or 35mm. 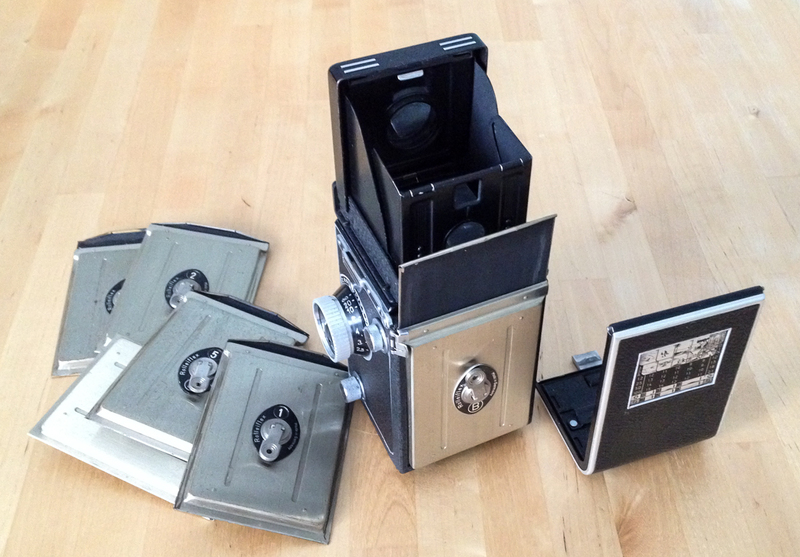 But assuming you have a bog standard Rolleiflex, then 12 square shots is your lot). The plate back is a direct replacement for the camera's normal back. The plate back is fitted in place of the standard Rollei back and enables single shots to be taken - just like the LF photographer - on 2.5 x 3.5 inch sheet film, the image still being the normal 6x6cm or 2x2 inch square. The part of the film beyond the 6x6cm image forming area is handy when it comes to handling the individual sheets under the enlarger. The plate back harks back to a time when some photographers didn't entirely trust that roll film would remain perfectly flat in their new camera. The plate back allowed them to use glass plates for perfect flatness. I suppose it was also useful in certain branches of commercial photography where it was advantageous to take just a shot at a time. The good news, if you have a Rolleiflex, is that plate backs can be had for very little money and the sheet film you need is still available. 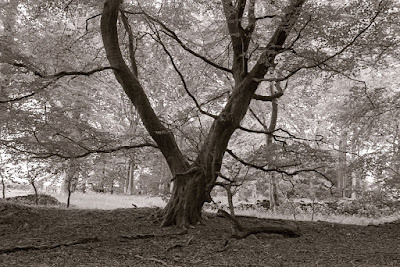 AG Photographic will sell you 25 sheets of Ilford FP4+ for £23.89. That's almost a pound a sheet - quite expensive really, especially when you consider that you can get 5x4 Fomapan 100 for less. 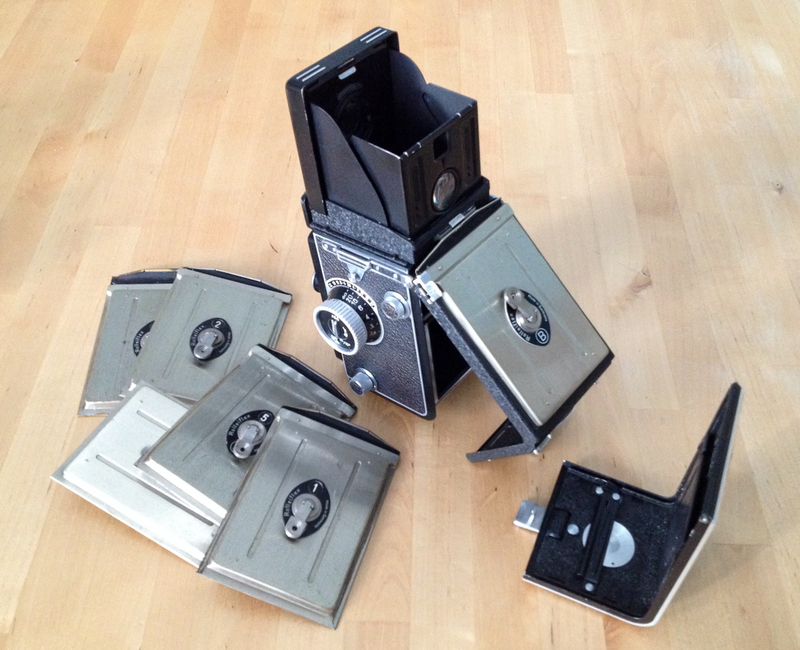 However, you can use a single shot Rolleiflex without having to break the bank. For instance, 50 sheets of Fomapan 100 5x7 costs around £48.50 at Silverprint. Each sheet splits perfectly into four giving you 200 sheets of Rollei plate back sized film for 24p a pop. That works out at £2.88 for 12 exposures, well under the cost of a 120 roll of Ilford Delta 100. That's more like it. But, you might argue, Delta 100 is a better film than Fomapan 100. Yes, but I can bet that individually-processed Fomapan sheets will, in many instances, give you better negatives than roll film Delta 100 - provided you know what you're doing. They should certainly be easier to print. The reason I'm going on about the Rollei plate back is that I have one and it's tempting putting everything I've just written into practise. Unfortunately, the film holders I have suffer from deteriorated velvet light traps so these would need to be replaced before I could put them to use. Still, that wouldn't be a big job provided I can find the right type of material to replace the dodgy stuff. Anyone have any ideas for stockists? 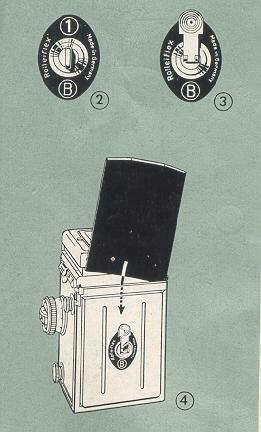 An early Rollei brochure explaining the process. If you have a Rollei and fancy the single shot approach, then bear in mind that you have to get the right plate back for your particularly model. The back I have fits both a 1954 MX EVS Rollei and a 1963 2.8F. However, it doesn't work with my old Rollei Standard - you need a different back for that. Also be aware that the plate holders, as the name suggests, were designed around glass plates. If you want to use sheet film in them then you need an insert that acts as a packing piece to take up the slack. Most of the holders you'll come across on Ebay will have the insert as they're much more likely to have been last used with film rather than glass plates. But best to check. The plate backs are a direct swap for the camera's normal back and take a minute to slot into place and lock down. The dark slides or plate holders are single-sided only. Some of the plate backs came with a glass plate that you could use for focusing before withdrawing it and inserting a holder but that seem a little unnecessary to me. I've got six plate holders which is plenty when it comes to single shot use. I could always take my normal camera back with me and a couple of rolls of film should I run out and want to keep snapping. I can't see me giving the single shot Rollei a lot of use but it might be nice to try it a couple of times for fun. For really cheap velvet tape for film backs etc. try the velvet ribbon available at most sewing shops. It has the advantage of being on one side only of its base material so taking adhesive quite well. I think Fuji still make 220 but I don't think very much of it gets out of Japan. I did ask about 220 on an Ilford factory tour a year ago. They still have their 220 machine but it is broken and uneconomical to fix given the minuscule quantities of 220 that they would sell. Check with a woodworking or craft shop. I've got some sticky backed velvet type material that was meant for jewelry box lining (http://www.rockler.com/self-adhesive-velvet-choose-velvet-color) that I've used for a few light seal replacements. It should do the trick for your plate backs. You'ce cemented my reputation there Bruce, but not even I am mad enough to contemplate chopping film to size. Just as well you have a good sense of humour, Phil! I have seriously thought of preforming metal surgery on one of my Kodak Tourist 6X9 cameras, modifying it to take 2X3 DDS film holders. Over here in the US Freestyle Photo has 2.25 X 3.25 sheet film, 50 sheets for $30, not to bad I guess. They also have Ilford in that size but it is $35 for only 25 sheets. I think the Freestyle brand is made by Foma. Hi Bruce I bought the same for my Rolleicord V some time ago. I actually bought it to try some macro photography with my Rolleicord. Using a bayonet 1 to 43 mm adapter so I could attach a macro supplementary lens to the taking lens. Using the holder with the ground glass screen for focusing....well it kept me out of mischief for a couple weeks ! Kodak makes Portra 160 and 400 in 220. I guess if it's still used for Weddings by at least some people, they'll make it. But nothing B&W.